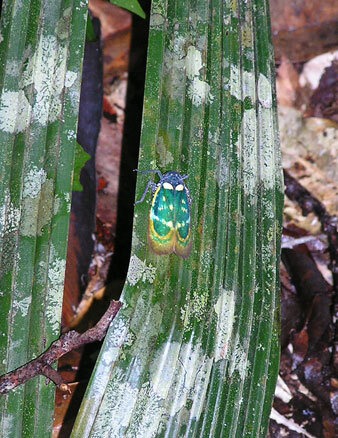 The rainforest was full of the sound of many species of cicada. This is a very colcrful species that was found near the forest floor. You can hear sounds made by some of the Bornean cicada here.